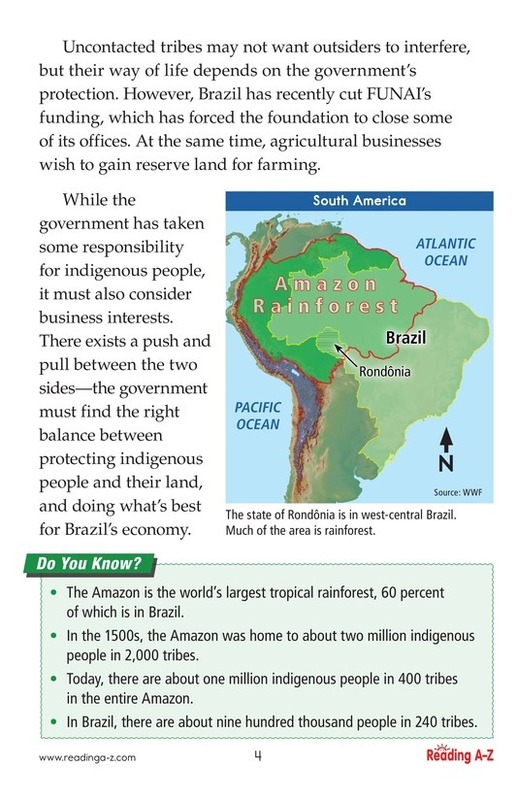 The Amazon rainforest in Brazil is home to many indigenous tribes. 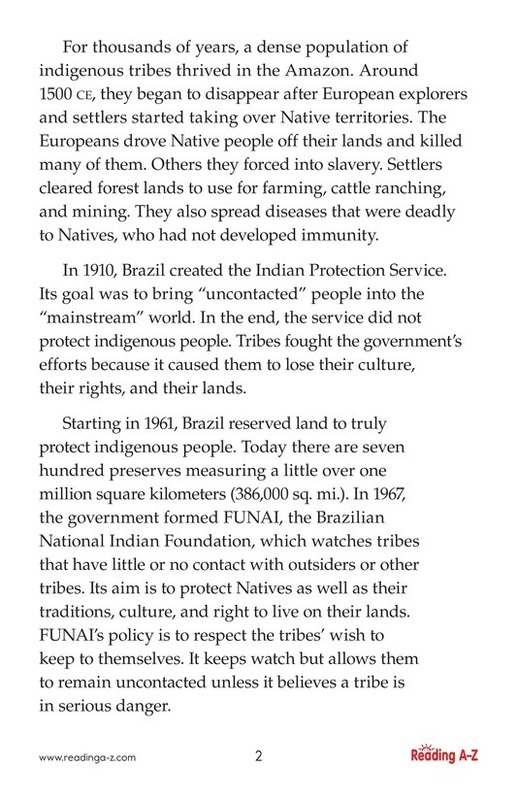 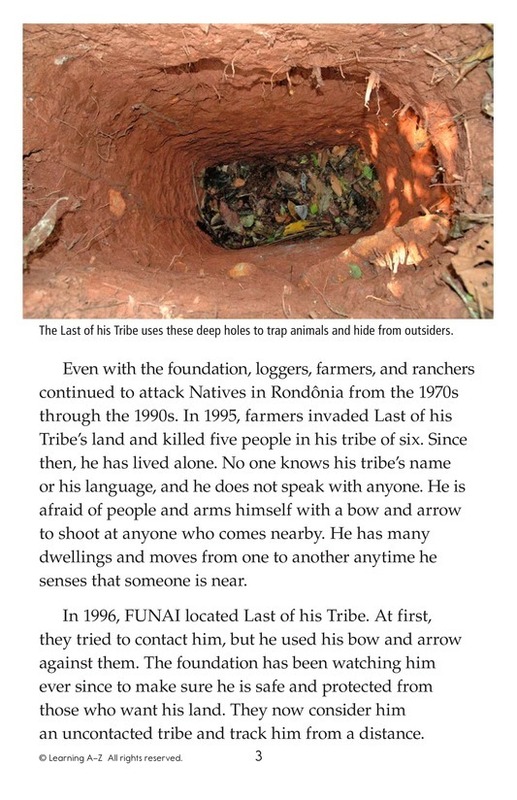 This passage describes the problems the tribes face and efforts by the Brazilian government to help Native people stay on their lands and remain uncontacted. 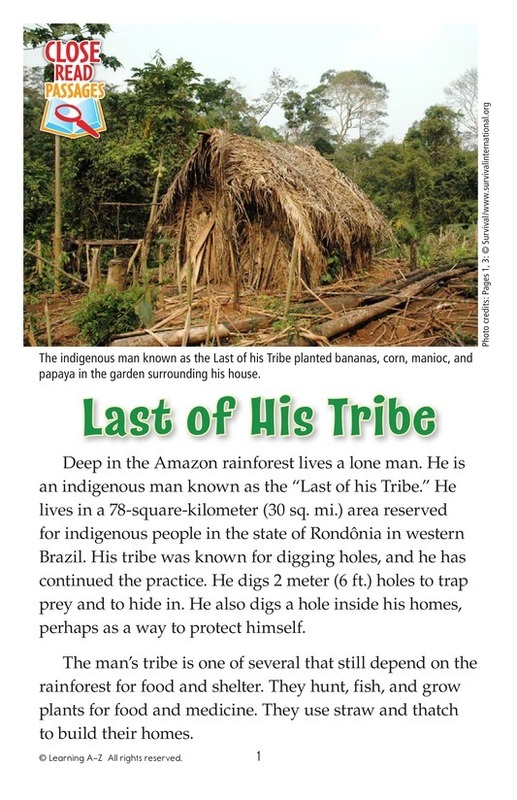 The "Last of his Tribe" is an example of the plight of these indigenous people.